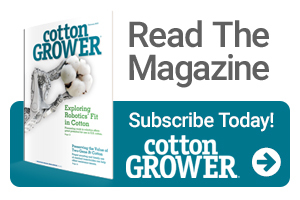 With many producers in the northern High Plains considering planting cotton this year, some for the first time, one Texas A&M AgriLife Extension Service agronomist is advising that optimizing irrigation and fertility will be important to their bottom line. But growing cotton is a lot different than growing corn, she warned. A lot of management considerations were needed to make those yields. While cotton acreage has fluctuated with prices, there were 850,000 acres of cotton grown in the northern High Plains in 2016, and Bell expects acreage to reach that or higher this year. “That’s more in this region than many other southern cotton production states,” she said. Bell said one of the concerns raised at the gins is quality. Some of the increased interest is due to producers finding cotton fits well in their operations if water is limited, Bell said. It provides the ability to plant half the circle to corn that is irrigated at a higher rate and the other half to cotton which can be irrigated at a reduced rate. This strategy provides many producers an ability to manage lower well capacities and continue to keep corn in their rotation, she said. But producers still have the question, “We can make the pounds, but how can we maximize the quality?” Bell said they recognize that additional profitability comes with the quality. Both lint and quality are needed to maximize production. Quality factors include fiber length and strength; the micronaire, or thickness; uniformity and leaf grades, all of which are considered for the fiber to make a premium grade. So, what affects micronaire development? The fiber thickness actually begins to develop at flowering. Epidermal cells begin to elongate for the first two to three weeks of growth and then the next two to three weeks is all about thickness. Low micronaire means the fiber is thin and won’t absorb the dye as well and easily forms small knots, while high “mic” fiber is coarse and won’t spin well because it is too thick, Bell said. “That four- to six-week window is critical and there are several management factors that can impact the development during this period,” she said. 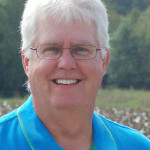 Under excessive irrigation and fertility, cotton can get too tall and overgrown, Bell said. Bell said cotton is an excellent fit for this region, as it is drought tolerant and responds well to a range of moisture levels. “However, excessive water or drought can cause problems. While it requires relatively little water until we get to the first white bloom period, it is very critical we don’t stress the cotton at that stage. “We want moisture for germination and establishment and to activate our preplant herbicides, so supply at least enough water to get the plants established and activate herbicides,” she said. Early bloom is the high water requirement period, Bell said. If water availability is short, water stress can gradually be imposed in the late bloom, cutout and boll opening periods. “We tell producers to be cautious with irrigation during these periods because it can result in excessive vegetation,” she said. “Typically, you don’t have sufficient growing degree days, so we may run out of time to mature the top bolls. The top bolls generally haven’t matured at the end of the season, and this can affect uniformity at harvest. “As we move north into the Panhandle, there is the chance of an early freeze, which limits maturity and yield potential,” Bell said. “Oct. 15 is the average first freeze date in the northern High Plains, so you have to plan accordingly. “If the season is cut short, you might have a good mic on the bottom bolls, the middle bolls may be average and the top bolls are immature, resulting in an overall lower quality mic and penalties,” she said. But side-dressing nitrogen fertilizer after evaluating the stand establishment is a good option, she said, especially on dryland acres. Put it on at the correct time to encourage just enough vegetative growth for a good boll set. Bell advised cotton producers to look for varieties that are stable, have performed well across different environments and have a realistic maturity date for this region. Cotton variety trial results for the area can be found online.